Quality piping, where you need it. We have the ability to fabricate piping spools from 1/2″ tubing to 48″ extra heavy piping. Our 13,000 sq. 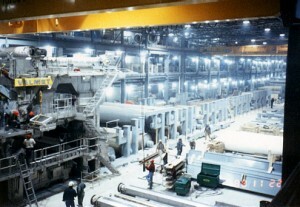 ft. fabrication shop in Thunder Bay can service all of your pipe fabrication needs. From our shop we have supplied over 3 million linear feet of carbon, stainless steel, chromoly and plastic piping to our clients in the past several years. Q.C. and documentation provided for all materials, welds & NDT.